Nic was recently interviewed by Matt Sainsbury for Digitally Downloaded’s Fast Five series. If you want to know what we’re currently working on check it out here. Our games on the Nintendo 3DS and Wii U eShops are on sale for 50% off! 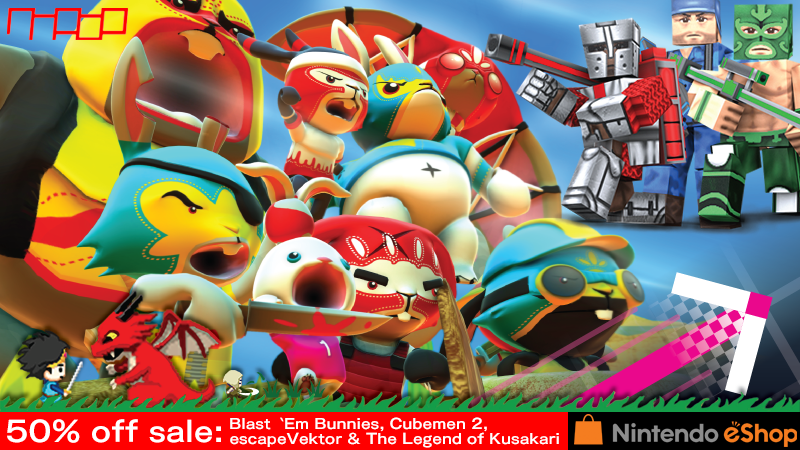 Blast ‘Em Bunnies, escapeVektor and The Legend of Kusakari on Nintendo 3DS and Cubemen 2 on Wii U are all 50% off. 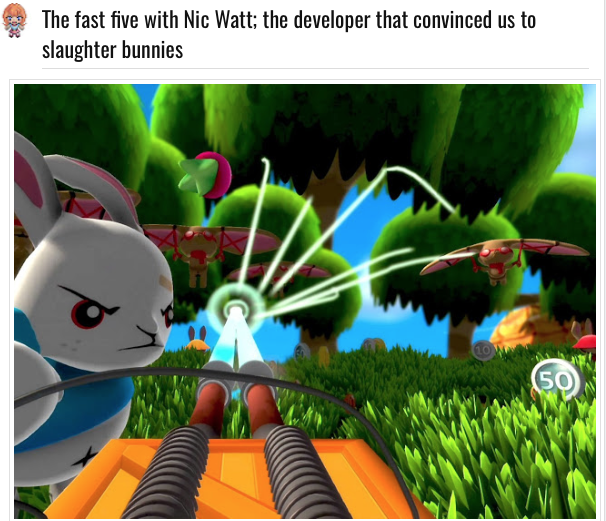 All Blast ‘Em Bunnies DLC, including the Super Mega Bundle (which includes all skin, arena and multiplier DLC) is also 50% off! This is a great way to get your hands on our award-winning and critically acclaimed games on Nintendo platforms. Download them now before the sale ends!